This is the official blog of Baby Connect. Baby Connect is the only solution doing automatic and immediate synchronization of updates on each caregiver devices, and which is available as a native iPhone application, as a native Android application, and as a web application. Caregivers and parents can post updates about feedings, naps, diapers, milestones, but also about the baby’s mood, temperature, what kind of game he’s playing or his gps location. Pictures are easily attached, and updates can be easily sent via email, push notifications and even to a twitter account. Baby Connect is now available for the three major voice assistants: Amazon Alexa, Google Assistant and Apple’s Siri. 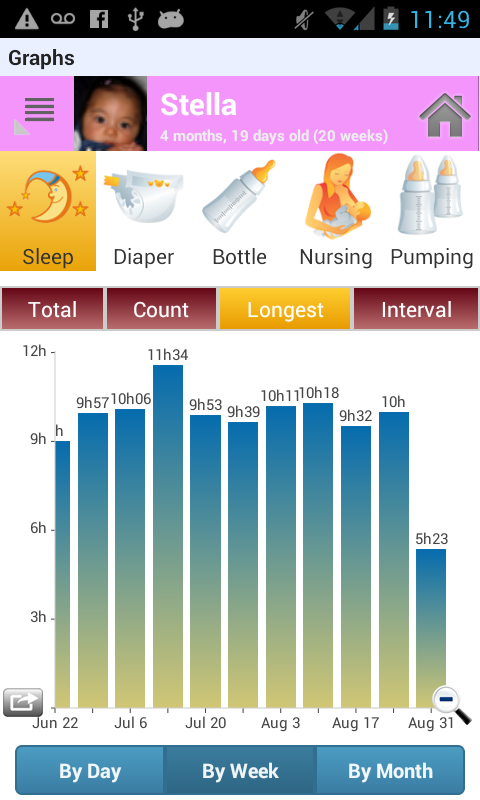 Those integrations allow you to track diaper changes, bottle feedings, nursing, or sleep sessions using your voice. You can say things such as “log a dirty diaper”, “start nursing from the left”, “log a 3 oz formula feeding”, or “when was the last diaper change?”. Any voice action is automatically synchronized to your account and to the Baby Connect application. For instance, you can start a sleep timer with Alexa, pause it with your iOS app, continue the timer with Google Assistant and stop the same timer with Siri. The Baby Connect Alexa skill can be enabled through the Amazon Alexa app (US only). The complete list of accepted utterances is available here. Google Home and Google Assistant users can use our Baby Connect Google Assistant action. The recognized commands are available here. For iOS users, Baby Connect now support Siri shortcuts. You can access available Siri shortcuts in the system settings application, under Siri & Search > Suggested Shortcuts, and add those shortcuts to your list. The suggested shortcuts are automatically generated by Baby Connect based on your usage. Let us know what else you would like your assistants to do with Baby Connect. The list of recognized commands keeps evolving, make sure to check back regularly on your Baby Connect assistant page for hints on new capabilities. Baby Connect now supports Siri shortcuts. The suggested shortcuts are automatically generated by Baby Connect based on your usage, for instance if you save a diaper entry, diaper shortcuts will be automatically suggested. With the most recent version of our mobile application, you can now activate a night theme to make it easier on your eyes in dark environments. The mode can be enabled by tapping on the button at the top left of the home page, and choose the night mode menu option. You can enable it manually or on schedule, for instance each day between 10pm and 6am. The latest version of the application includes several changes and new features for everybody. Among those, a new invitation workflow make is easier to connect with others caregivers. Several usability enhancements were made both on the iOS and the Android applications and several new categories are available on the AppleWatch application. For child care centers, a new module for parent sign in / out and a new customizable welcome email are also available in this new version. When this option is activated, parents receive a 4 digits personal code to sign in and out their child in the center. When a parent arrives at the child care center, he will enter his 4 digits code on a dedicated device to sign in the child. 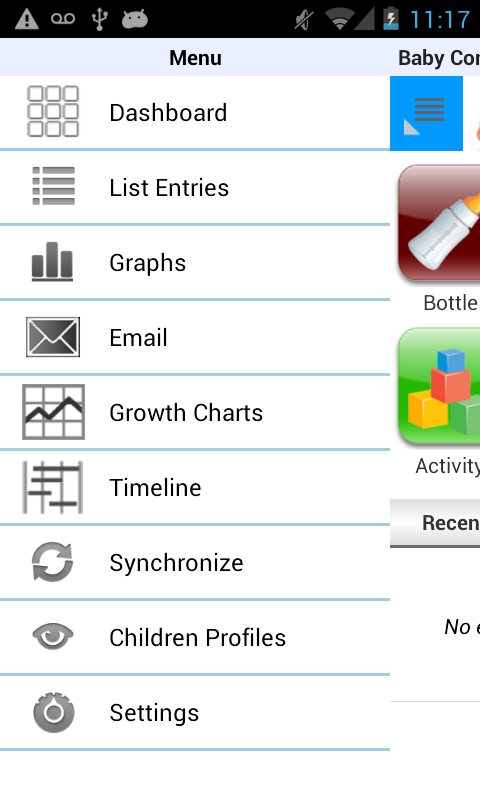 The app will show the list of children that the parent can sign in for approval. For pickup, parents will use the same device and code for signing out. The sign in/out time and the parent name are saved on the child history. It is included in the daily summary email. The information is also used for attendance reports. The option is available to Professional and Enterprise subscriptions. Child Care administrators can activate it in the settings > Sign In / Out page. We’ve improved the invitation workflow with invitation codes and better emails. It’ll be easier to connect with others caregivers. In addition, for Professional and Enterprise accounts, an email is automatically sent to first-time users to explain how the application is used in classrooms. You can personnalize this email in the settings > customize email page. We’re rolling out today new features and improvements designed especially for nannies, child care administrators and teachers. You can now mark a child profile as inactive. You can use this for children that are not coming to the child care anymore, either temporarily (vacation, sick, …) or permanently. The child will not appear in your home page but you can still access the profile in your settings page, and bring it back to active status when needed. The app can already automatically send summary emails to parents at the end of the day, with no action from teachers. You can now also add a specific message, it will be added to the daily email (Premium plans only). We’ve received a lot of requests for an easy way to send an email to all parents. This is now feasible in the settings section of the web application (Premium plans only). You can now export the attendance report for all children in a pdf file. You can keep it for your record, or give it to parents for billing purpose (Premium plans only). This one has been available for some time already. Make sure to update to the latest version of the application on your iPad or Android, you’ll love it. The dashboard will also be available in the next version of the iPhone application. If you don’t have a premium account already, check out all the features available in the subscriptions. – Print a Photo Book: we’ve partnered with Mosaic so you can create a book with your photos saved in the application. Pick 20 photos from your album and you will receive a beautiful photo book a few days later. It’s easy to order, shipping is fast, and the quality is excellent. Tap on the photo button on the home page of Baby Connect to order your book. – Sound customization: You can now customize the sound for the push notifications, reminder alarms and timer alarms. – Dashboard (iPad only): this is especially useful for child care professionals who can have an overview of all children in the classroom. 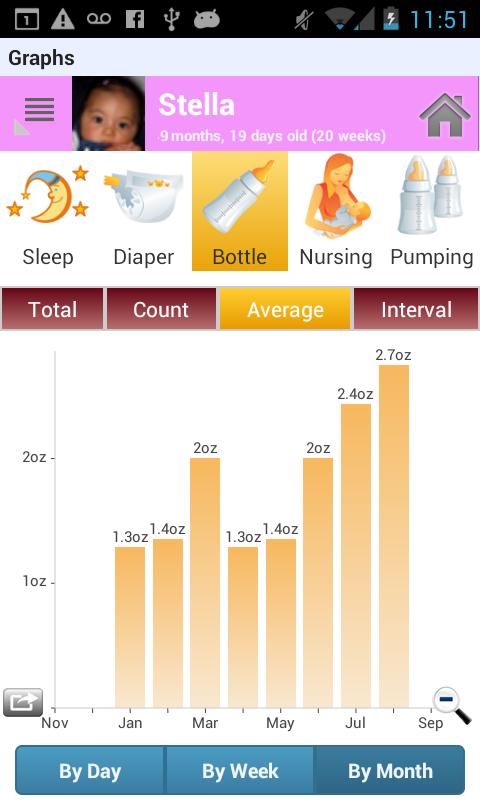 The dashboard will display the time since the last feeding, diaper change, potty, or sleep on the same page. You can easily save new events from the same page, and quickly view which children are in the classroom and which children have been checked out. No need to switch to each child page anymore. Child Care administrators can also easily view all classrooms and all children in each classroom via the dashboard page. – New child selection interface (iPad only): it is now much easier to switch child with the new interface. The new version is available now as a free update on the AppStore. – Timeline Graph: this was one of your most requested feature. This graph allows you to easily identify trends and patterns in your child schedule. – New Weekly and Monthly bar charts in addition to the daily charts are now available. – Old menus have been replaced by new Sliders for the child selection and for common menu options. – Dashboard Page: this is especially useful for child care professionals who can have an overview of all children in the classroom. – Child Care administrators can now easily view all classrooms and all children in each classroom. This is only accessible to Professional and Enterprise subscriptions. Several others minor new features (for instance a new photo browser) and plenty of bug fixes were also included in the release. The new version is available now as a free update on the GooglePlay Store and will be available shortly on the Amazon AppStore.